Bahrain International Circuit (BIC) announced today the third and final winner of its racing simulator competition, held as part of the lead-up to this weekend’s FIA WEC Six Hours of Bahrain. Bader Yar has emerged as that winner, and joins Ameen Aljaroodi and Ali Mteirek as the victorious trio. They each come away with an invitation for themselves and a friend to attend BIC’s official Welcome Party for the teams and drivers participating in the FIA WEC Six Hours of Bahrain weekend. The highly anticipated event marks the eighth and final round of the 2015 FIA World Endurance Championship (WEC) season. It is scheduled to take place Friday and Saturday (Editor’s note: November 20 and 21) in Sakhir. The Welcome Party will be held on Wednesday (Editor’s note: November 18) as BIC honours its guests for a high-octane two days of racing and entertainment at “The Home of Motorsport in the Middle East”. 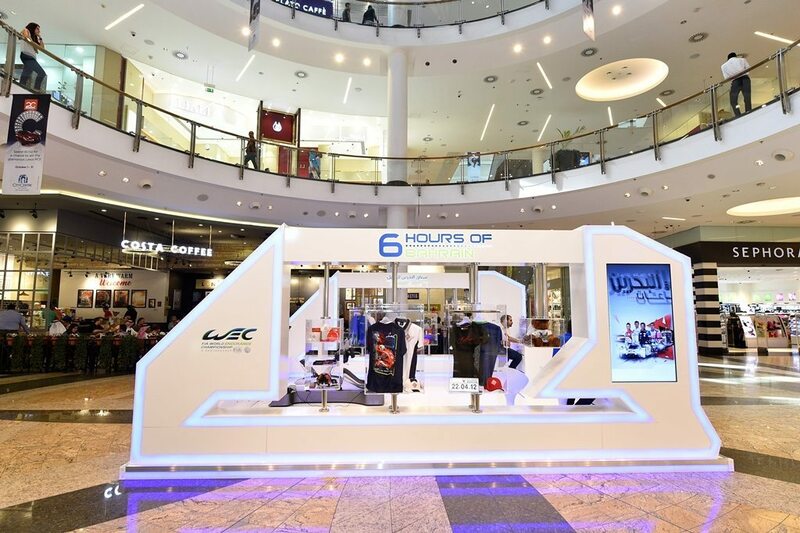 Meanwhile, fans attending the FIA WEC Six Hours of Bahrain will have a chance to win valuable prizes in a fantastic raffle on race day. To have a chance to win, race-goers must be in their seats along BIC’s Main Grandstand between 2.30pm and 4pm. During this time, the winners of the prizes will be announced and several lucky individuals will be going home with a valuable gift. The list of prizes includes an iPhone 6S 16GB, iPhone 6S 64GB, Note 32GB, Apple iWatch 38mm, Apple iWatch 42mm, Samsung S6 32GB, Sony Xperia Z3 Plus, Huawei P8, HTC E9 Plus, HTC Re Camera, FitBit HR, Nokia Lumina 640XL, Lenovo Vibe Shot and a Samsung A8. Fans are advised to remain in their seats along the Main Grandstand so as not to miss out on their chance to win a prize. All are invited to attend and enjoy endurance racing at its finest. The FIA WEC Six Hours of Bahrain is the WEC’s exclusive stop in the entire Middle East, giving the kingdom’s motor racing fans a unique taste of Le Mans racing. Aside from the FIA WEC, there will be much more to delight in with plenty of racing from the GP2 Series, GP3 Series, the Porsche GT3 Cup Challenge Middle East and the MRF Challenge. Tickets to the FIA WEC Six Hours of Bahrain can be purchased at the BIC stand in Bahrain City Centre, online at www.bahraingp.com or by telephone by calling the BIC Hotline on +973-17-450000. Tickets cost just BD10 for the entire weekend of action. All those aged 15 years old and below can get in absolutely free. For more information on the FIA WEC Six Hours of Bahrain or other BIC activities, visit bahraingp.com or call +973-17-450000. Also, find BIC on Facebook (facebook.com/OfficialBahrainInternationalCircuit), follow BIC on Twitter (@BAH_Int_Circuit) and Instagram (instagram.com/bah_int_circuit), and subscribe to BIC’s YouTube channel (youtube.com/bahrainbic) for regular updates on all happenings at the world-class Sakhir circuit.